Prospects, invoices and everything in between. 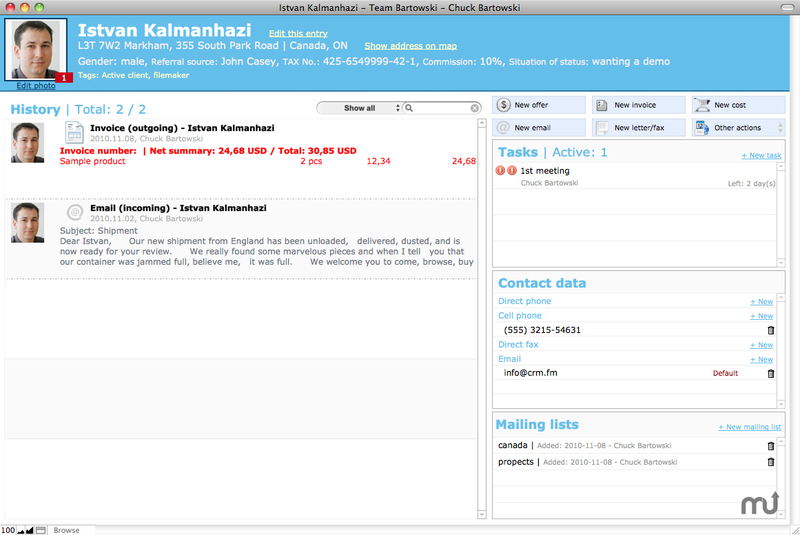 Is there a better alternative to iDeal CRM for OS X? Is iDeal CRM for OS X really the best app in Applications category? Will iDeal CRM for OS X work good on macOS 10.13.4? iDeal CRM is a user-friendly, easy-to-understand customer relationship management (CRM) software for getting your company's data centralized and organized. It supports the invoicing, contact management, project management, business history, business tasks, reminders, knowledge base and many more customer related functions. It was built using the award winning FileMaker database engine and supports the Windows XP, Windows Vista, Windows 7 and Mac OS X operating systems as well.